20thCenturycollectables.co.uk: Current stock: Chandelier of clear and white Italian glass hooks hung on a circular steel frame. Diameter 50cm Length 140cm. 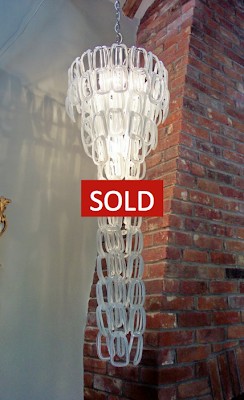 Current stock: Chandelier of clear and white Italian glass hooks hung on a circular steel frame. Diameter 50cm Length 140cm.